BIG WINNER…Jockey Robby Albarado celebrates after riding Curlin to victory in the $6 million Dubai World horse race during the Dubai World Cup at Nad al-Sheba race track in Dubai on 29 March, 2008. The Dubai World Cup is the richest horse race in the world, with prize money totalling $21.25 million. 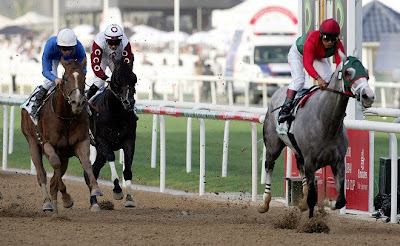 BRISNet.com – In an auspicious beginning for the American contingent on Dubai World Cup night, Four Roses Thoroughbreds’ Diamond Stripes battled back after being headed in the stretch to capture Saturday’s $1 million Godolphin Mile (UAE-G2). Diamond Stripe is a Florida-bred who was bred by Sam and Carolyn Rogers of Leesburg, VA.
It’s post time for the Hennegan Brothers. There award winning film THE FIRST SATURDAY IN MAY is opening Friday, April 18th in a limited run. See below on how you can support the film by buying a ticket or two even if you can’t get to the theatre. We’ll keep it short. We need everyone to go see THE FIRST SATURDAY IN MAY. 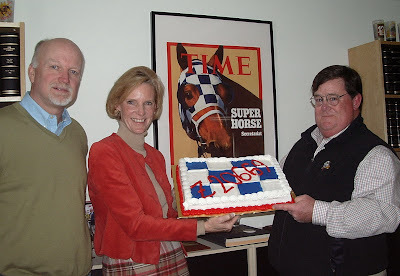 Recently 48 thoroughbreds were seized from a trainer in Middleburg. 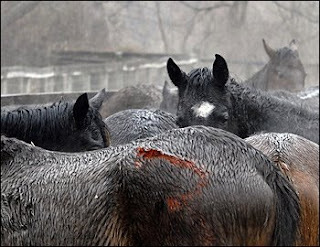 Of those, 16 were brought to the Roanoke Valley Horse Rescue, Inc. 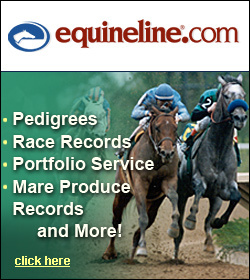 Some of the horses are in-foal mares expected to deliver before the end of this month. The Horse Rescue needs the help of the Thoroughbred community, in the way of donations and volunteers. 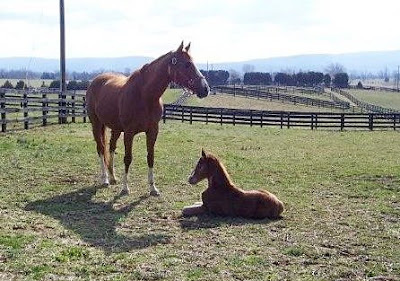 The Roanoke Valley Horse Rescue, Inc.
GET A JUMP START THIS YEAR! 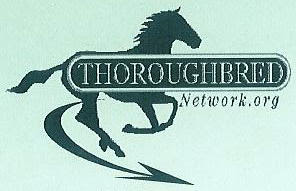 Thoroughbred Network is pleased to present a Trainer’s Seminar on Saturday, April 5th from 12-2 pm. MORNING RIDE…Jockeys and horses train in the early hours of March 26, 2008 at Nad al-Sheba club ahead of the Dubai Equestrian World Cup 2008. The Dubai World Cup, held on March 29, is the richest horse race in the world, with prize money totaling $21.25 million. 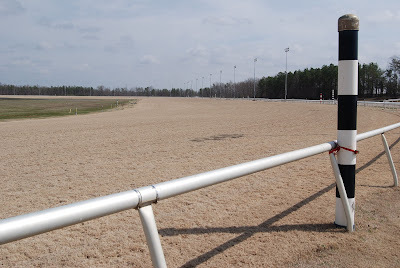 It’s easy to forget the Colonial Downs deep and lush Bermuda grass turf course is dormant in the winter. Easy, that is, until you see it. Here are a few pictures to help remind us how nice it will be come the middle of June! 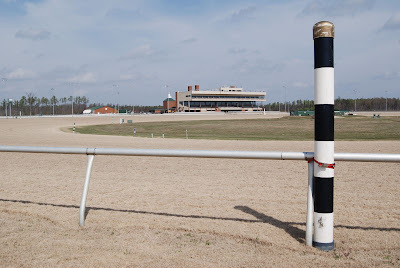 It’s easy to forget that the Colonial Downs’ deep and lush Bermuda grass turf course is dormant in the winter. Easy, that is, until you see it. Here are a few pictures to help remind us how nice it will be come the middle of June! Colt by Bop, out of Key Wi Miss born March 11, 2008.